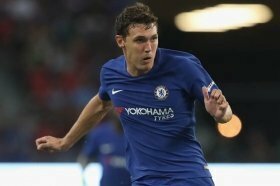 Chelsea have reportedly decided against the winter sale of Andreas Christensen amid the interest shown from La Liga holders Barcelona. The Denmark international has struggled for gametime in the Premier League this term and he has managed just one start under the guidance of Maurizio Sarri. Amidst this, the versatile defender has already admitted that he is far from pleased with the situation but according to Sky Sports, his chances of leaving Stamford Bridge next month appear bleak. Barcelona are understood to have identified the Dane as one of their targets to strengthen the central defensive department this winter but the Blues are said to have no plans of parting ways with the player's services. Christensen has made over 50 appearances for the Blues since his debut last season and the hierarchy are reluctant to offload him in the near future after spending too much time and money on his development.